I love to make my own food as and when I can, but even I need a little help sometimes. 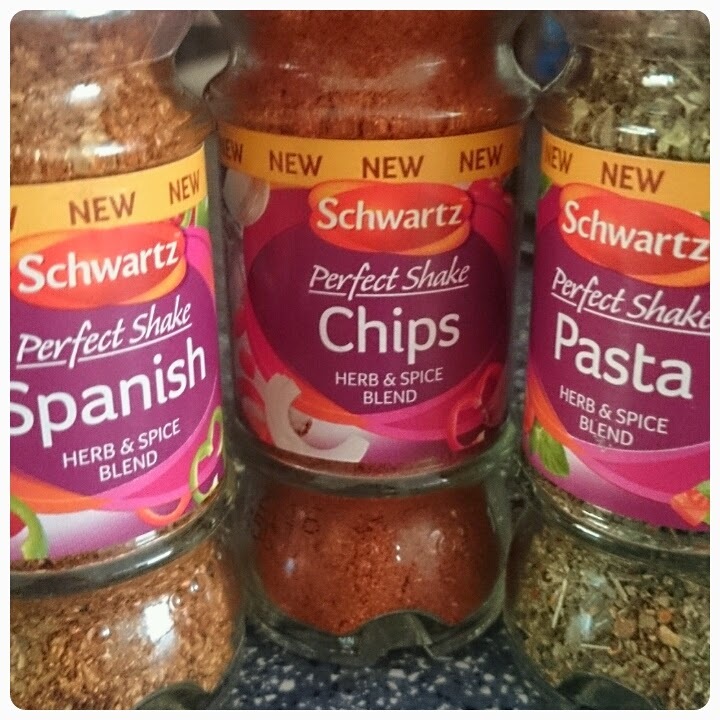 You may remember one of my previous posts where I reviewed Schwartz's Perfect Shake range, well they've only gone and added to their range. The Perfect Shake range now includes herb and spice blends perfect for Spanish meals, Pasta and Chips, ready to add a little some extra to your recipe. Well in order to test out the range properly, I of course had to do some cooking, so let me introduce to my homemade potato wedges. 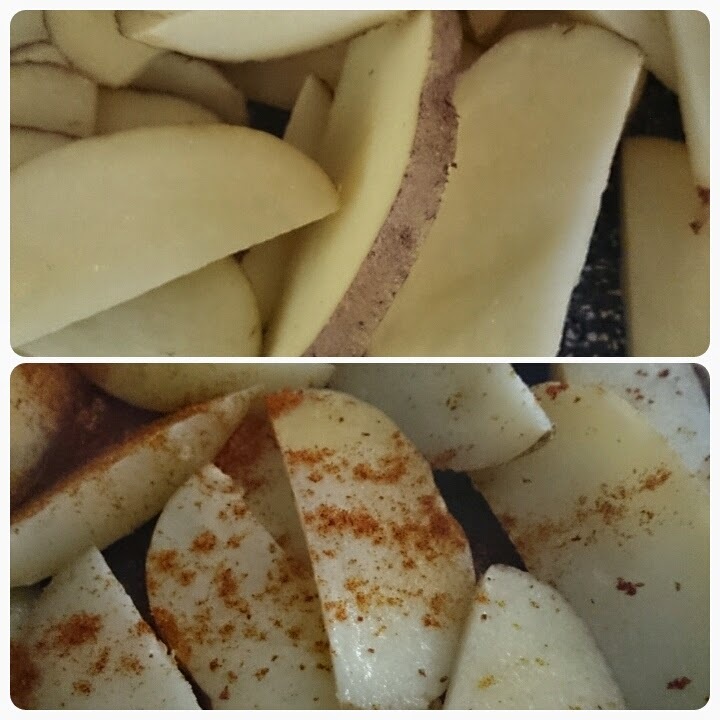 * Slice the potatoes into wedge shapes. I like to have mine a medium thickness but you can have them as thin or thick as you like. I keep the skins on but if you prefer you can peel them off before slicing. 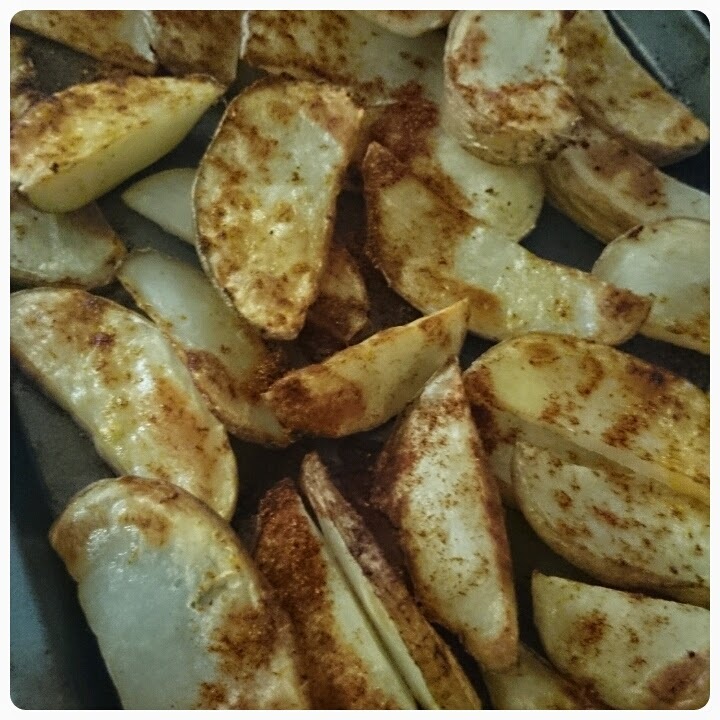 * Place your wedges onto a baking tray, making sure that they are evenly spread out. * Spray the wedges with the fry light oil and shake over the Perfect Shake. * Flip the wedges over and do the same to the other side. * Cook in the oven for around 30 minutes. We served ours with chicken wings. Priced between £1.63 and £1.82, I found the the Perfect Shakes gave a really nice kick to the food, my wedges certainly didn't take long to disappear off the girls plates. They are so versatile because they can be used in sauces and marinades too. My only complaint is that I wish they had different openings at the top as I found I was shaking out too much at once and having to spread it out with my fingers instead. Disclaimer : I was sent the Perfect Shakes free of charge for reviewing purposes however all thoughts and opinions are my own. Oh wow - these look scrummy. I haven't tried the perfect shakes, but my mum raves about them!